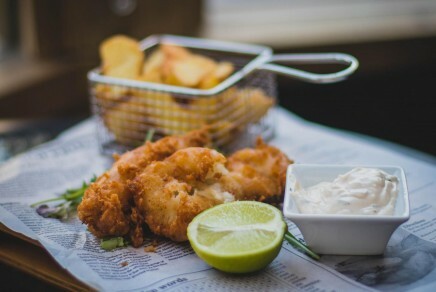 When traveling, we want to try incredible food at reasonable prices. We explored Jefferson City’s foodie scene and found some exceptional joints that won’t cost you a fortune. Keep reading to learn more about some of Jefferson City’s best restaurants you can dine in on a dime. A quaint atmosphere that offers large portions and a 50’s vibe – need we say more? Towne Grill is a hot spot among locals for breakfast or lunch and the place to go to enjoy a delicious meal and catch up with old friends. Enjoy the blueberry short stack (or a few) smothered with syrup or go with the Philly-cheese omelet, meatloaf, or one of their burgers. 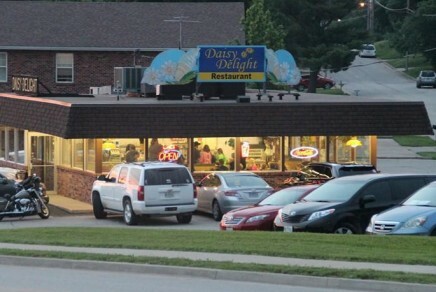 Take a trip down memory lane and dine-in at Daisy Delight. This establishment has been serving up comfort food since 1955 and is full of nostalgia. Order a footlong hot dog, popcorn catfish basket, or chili cheese fries and then polish it off with a scrumptious Dole Whip. Sandwich lovers, this one’s for you! 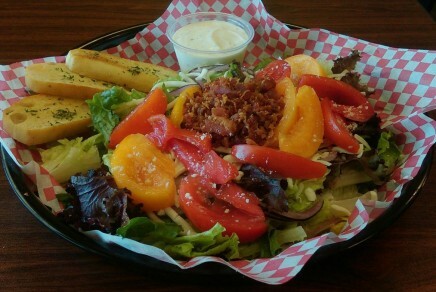 While Jefferson’s Deli is acclaimed for its bureaucratic theme their main draw is their expansive sandwich menu and delectable house salad. Whether you choose hot pastrami on rye or a veggie roll, Jefferson’s Deli gets our vote. 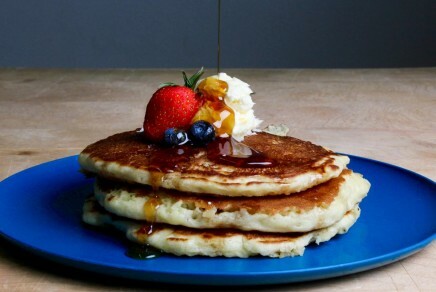 If you didn’t have breakfast, did your day actually happen? Start your day off on the right foot at Angelina’s Café. This cozy, corner café serves a breakfast that will knock your socks off. Their menu includes items such as the ultimate omelet (an omelet smothered with gravy), breakfast sandwiches, and homemade biscuits and gravy. Did we mention their homecooked breakfast is served all day long? If you appreciate good ‘ole Southern cooking, this is your stop. The Blue Skillet offers traditional favorites such as fried chicken, mac and cheese, candied yams, and chicken and waffles. We recommend bringing your stretchy pants because you will want to order seconds. Hiding in the corner of a shopping plaza sits this magical oasis serving authentic Mexican food. When you walk in, you are immediately greeted by warm smiles and met with a rich aroma of Mexican fare. If you are on the search for tamales, they have you covered! Don’t forget to stop by their salsa bar and choose from a variety of fresh-made salsas. 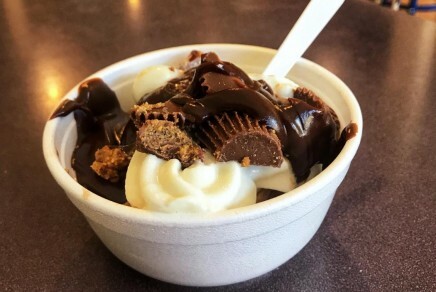 In downtown Jefferson City you will find YoYum’s, a vibrant self-serve frozen yogurt shop in Jefferson City’s downtown district. The store has eight flavors on tap and rotates them regularly, making for a unique visit every time you go. Don’t forget to top off your dessert with as many items from their toppings bar that your heart desires. Looking for a taste of the Middle East without booking a flight to the Dead Sea? 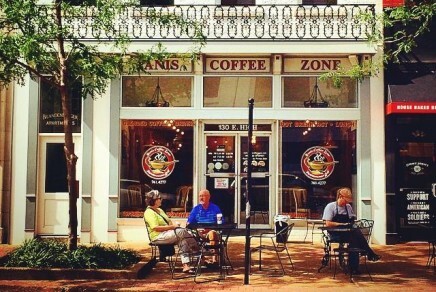 Check out Yanis Coffee Zone. With gyros, pita, tzatziki sauce, and baklava – this place it what dreams are made of! Whether you are in the mood for breakfast or lunch, this eatery has you covered.